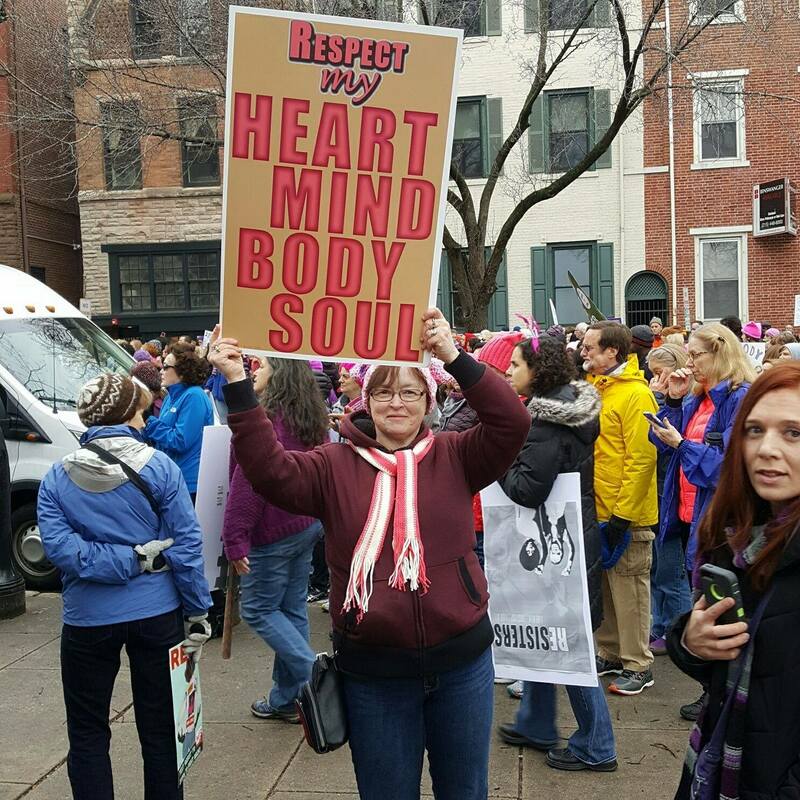 To answer the question heard often after this weekend’s global Women’s Marches, Why did you march? For me, it was not only a sincere desire to join together with other women to peacefully make a point about recent threats to hard-fought rights, protections and programs; it was also a way for me to exorcise some of the ghosts of the past. Times when, I, or a member of my family, was treated as “less than.” Taking the political personally? Yes, I am. I think we all should. and almost leaving three daughters motherless. knowing my adolescent self would be too ashamed to tell anyone. and paid significantly less for doing the same job. or withheld them to punish your noncompliance. until a protracted fight was engaged. continuing to demand that we don’t go backward. destroying the firmament under our feet. and with them humankind as a whole. *Carol Hanisch is the author of a paper that came to be called “The Personal is Political,” an expression that came to be used in many different ways over they years. The interpretation that I like the most is that issues in women’s personal lives, such as childcare and healthcare, were actually political issues that were being ignored. And we all need to reach our hands down to pull other women up and humankind also.